Coloplast Self Cath 16" Olive Tip Coude with Guide Strip, 30ct - 10 FR comes in a variety of French sizes ranging from 6" to 18". The Self-Cath® family of 100% latex-free catheters offers patients a variety of options for intermittent self-catheterization. The Guide Stripe® allows for monitoring of catheter tip position during insertion and removal. 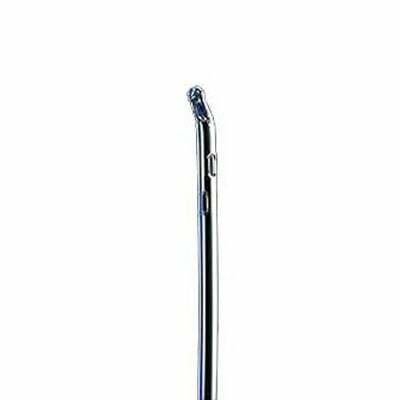 Olive Tip coude female is an excellent teaching catheter for women. The Self-Cath® family of 100% latex-free catheters offers patients a variety of options for intermittent self-catheterization. Each catheter is made with the highest quality standards dedicated to patient comfort and ease of use. The fire polished eyelets and siliconized surface allow for smooth insertion. Guide Stripe - to help maintain position of catheter tip. Repositioned eyelets - for smooth insertion and greater comfort. Coude tip - for easier passage to navigate past enlarged prostate, strictures, and false passages.